Well as I said in my Lion Heart retrospective, I would post up the banner images I put together to use while I was playing him over in the RPG. 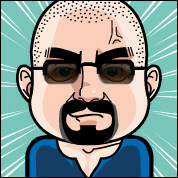 These were all manipulated from various comic images between 2003 and 2004. 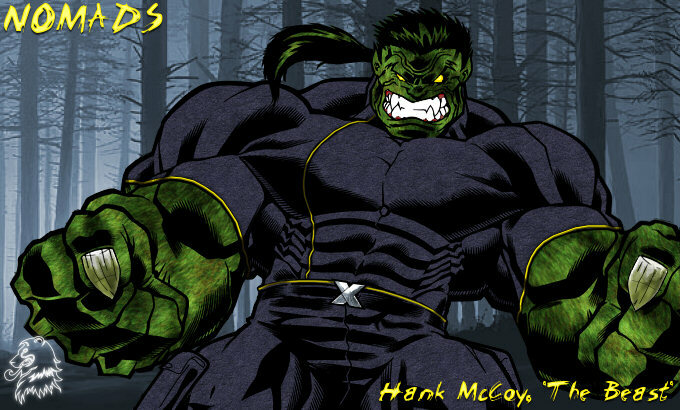 Image created to show an evolution in my Nomads RPG character – after an event which caused extreme stress (both physical and mental) to Hank, he underwent a further transformation into a more hulk like form (due to the gamma exposure). The image itself is based from an Ed McGuinness image of Hulk from during the run with Mark Waid i think. Recolored and animated version of an Ultimate X-Men comic cover. This was created to be used over at marvel-boards as a tribute to my character in their ongoing RPG game Nomads (an Exiles themed rpg – not limited to characters based on Marvel originals but those are preferrred).